Data from Oxfam show India has the highest percentage of its country’s wealth held by the top 1%. 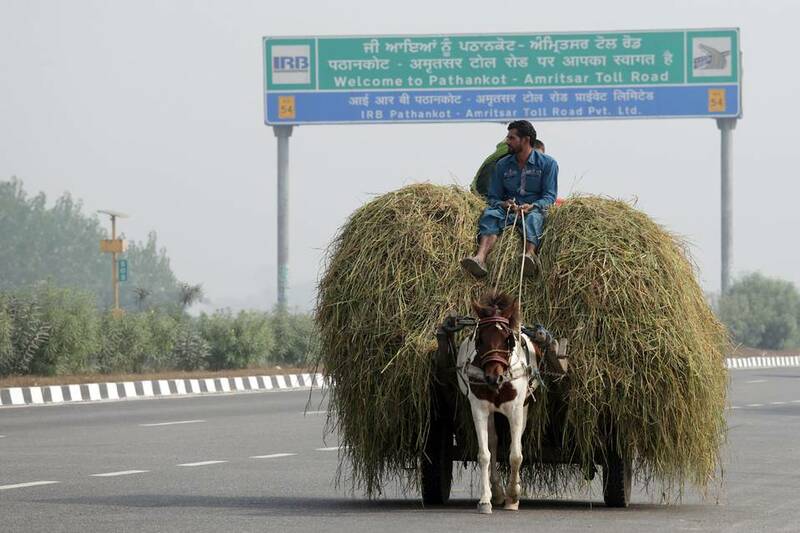 A family sits atop a pile of hay on a horse cart on a highway near Amritsar, India, Nov. 4, 2016. Oxfam said that the combined wealth of India’s 57 billionaires is equivalent to that of the country’s poorest 70%.“India is hitting the global headlines for many reasons, but one of them is for being one of the most unequal countries in the world with a very high and sharply rising concentration of income and wealth,” Nisha Agarwal, chief executive of Oxfam said in a statement. The above findings from Oxfam is very revealing and shows how India is an Unequal country. This creates a very uncomfortable reading. The measures suggested in the last paragraph makes some sense,BUT will somebody dare to tell Mr Modi & Co? and ask him that his administration should do some thing about it.